Verdict: BUY!!! 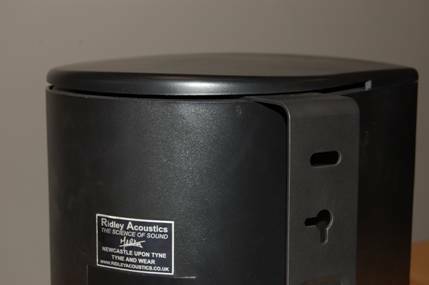 Ridley’s EVIO line of indoor / outdoor speakers can be used on your patio, pool deck, garage, and home theater. 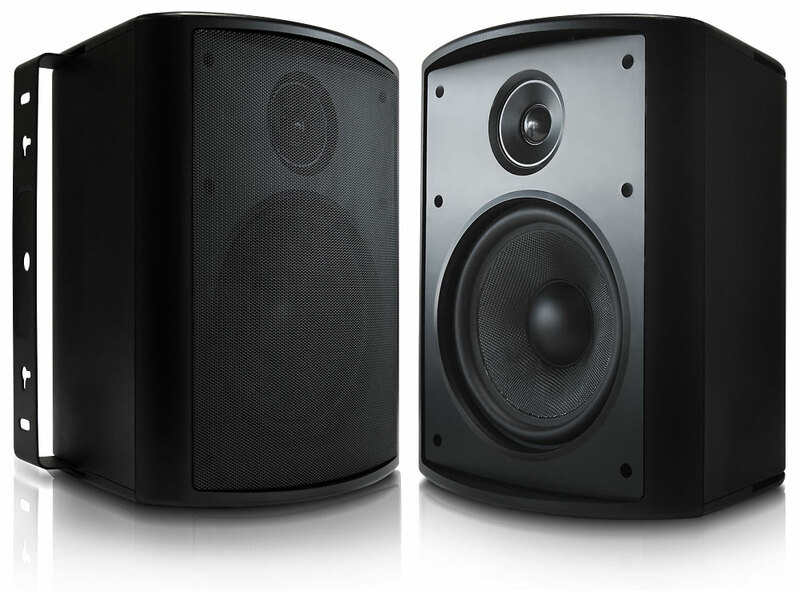 The EVIO825 is a monster speaker without the monster price tag. Don’t be fooled by the sleek, simple appearance, there’s a ton of smart engineering and good ideas, all wrapped up in an attractive, weather proof exterior. 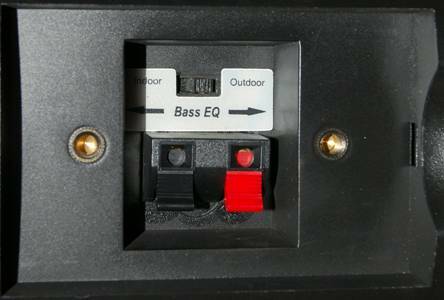 It all adds up to a clean, detailed sound even in the most challenging of environments. Ridley Acoustics EVIO852B - 8" DuPont Kevlar 2-way acoustic suspension loudspeaker with butyl rubber surround, 35 Hz - 21,000 Hz, 140W, 1" Tetoron soft dome pivoting tweeters, 91 dB sensitivity, 8 Ohms, Concealed bracket hinge. 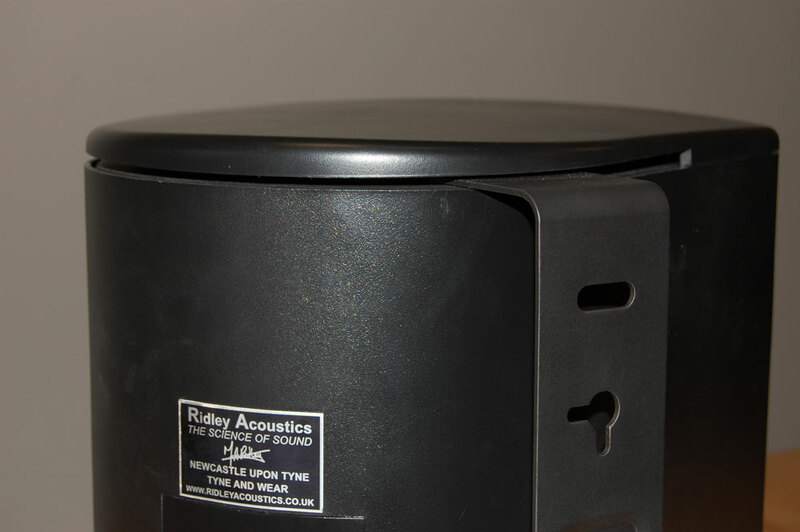 Ridley is a UK based speaker company new to North America. The Brits have a reputation for making very even response loud speakers. This is good for discerning listeners because the speakers act more as a window into the sound, keeping additions owing to cabinet design, electronics, etc, to a minimum. Ridley carries this attention to detail over into its indoor / outdoor line up, and does so with great success. The simple concealed hinge design really helps with indoor use – they look less clunky, less industrial than other indoor / outdoor speakers. They really look like Ridley intends that they be useful indoors as well as out. 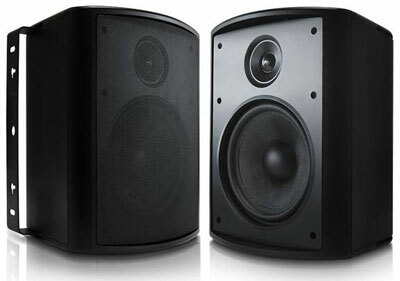 The EVIO825 is a big speaker, on the high end for the outdoor crowd. It’s a sleek design, simple, and should compliment a variety of installation positions. The bracket is adjustable though a complete swing around the backs and sides of these speakers owing to the clever concealed hinge. Because they’re concealed the hinges are protected from the elements, extending their useful lifespan if you use these outdoors. It’s a nice touch that I wish more manufacturers included on their equivalent products. So the speaker looks good, and is built to last. How does it sound? Great! Bass is strong but not overwhelming. Mids and highs are clearly delineated and distinct, distortion free even at higher dBs. The Indoor / Outdoor Bass EQ switch makes a huge difference, particularly outdoors. It’s the indoor performance of the EVIO852 that I find so surprising. They’re great rears or even mids, as the bracket / hinge system Ridley uses allows the speakers to be aimed anywhere. If you have a white ceiling or white walls, using the EVIO852 in white might be just the thing – the speaker will disappear into the background. As part of my evaluation for these speakers I had the opportunity to listen to them is a towering open art gallery, set up as part of a 7.1 surround system. Even in this huge open room, these EVIO852B speakers held together exceptionally well, and literally fill this room with good sound. Very impressive. Anyone can make outdoor speakers. Occasionally, these outdoor speakers can be very expensive, and end up being more hype than substance. Ridley takes a different approach and incorporates good design with big sound. The EVIO825 is a strong outdoor performer with exceptional indoor performance characteristics. 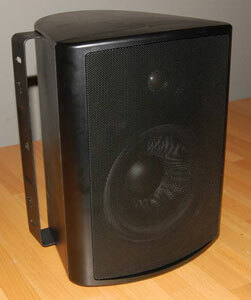 This makes them an excellent choice for strong mid or rear channel speakers. Durable, smart design provides protection from the elements for year after year performance.